1. Follow instructions the first time. 2. Listen when someone else is talking. 3. Keep your hands, feet and objects to yourself. 4. Speak in a polite and respectful manner to everyone in our school. Good behaviour is rewarded through Dojo points. Every Friday, pupils who have earned over a hundred Dojo points have the opportunity to cash in their Dojos for a prize, from the Dojo cabinet, or choose to save their Dojos so that, in the future, they can chose a prize which is worth more Dojo points. There is also a weekly class Dojo prize, awarded to the class who has won the most Dojo points. This encourages team work, a sense of belonging and a feeling of pride within the class. The class with the most Dojo points wins a small treat and a class certificate. All pupils belong to a house team; Patrick, David, George or Andrew. The house team with the most Dojo points at the end of every half term receive a treat. This is to encourage and promote positive teamwork and collaboration amongst pupils throughout the school. Green card—This is the explicit teacher / child expectation. 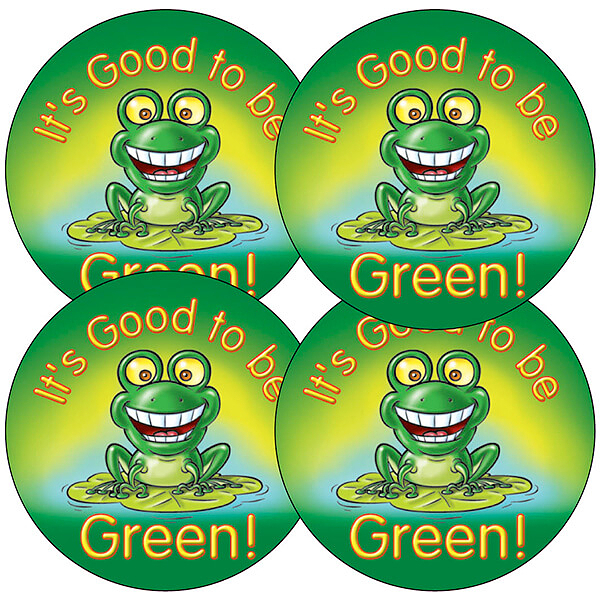 The children will always start each day at green to enable them to make the right choices. The first level of response here is a verbal warning and a reinforcement of the behaviour expected. Yellow card— ‘Time out’ in class, talk to teacher quietly, choices to empower them to modify their behaviour. When this is successful, the child will return to green. If the poor choices continue, this will escalate to red. Pupils with three or more consecutive yellow cards will receive a letter to take home to inform parents/ carers of low level disruption. Red card—Short playtime or lunchtime detention with class teacher. Parents informed by text and in person after school. 2 consecutive red cards will result in an internal exclusion and a member of the Senior Leadership team will make a call home to advise you of this. Parents will be invited to a formal meeting with the Head teacher. For severe behaviour incidents, children are sent to the Head teacher immediately. · Refusal to cooperate with any member of staff. *Don't miss out on the possibility to receive a golden letter through the post. One pupil from each class who has shown wonderful qualities and attributes such as compassion, resilience or great work ethic will receive a golden letter through the post. This happens once a term and is an incredible achievement!